And if you are a leader who wants to build trust into your organization’s DNA, it all begins (and ends) with you. How many of these boxes can you check? Do you possess integrity, character and values? Do you share those values with your family? Do you instill them in your children? Do you take your personal values to work? Have you built trust into your organizational culture with the support of your Board? Click To Tweet (More information on how to do that can be found in the spring issue of TRUST! Magazine. Is it reflected in your statement of values and corporate credo? How do you practice your organizational values? How well do you communicate them? Will they outlive your tenure? 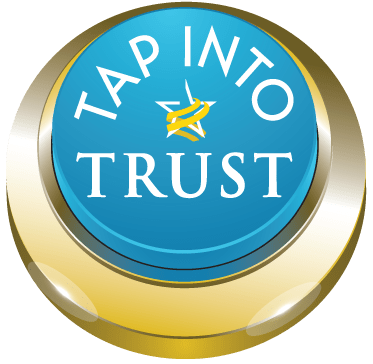 Do you discuss trust daily? Are you working to break down silos and create unified strategies? Do you share a consistent vision? Do you model openness and vulnerability? Do you use transparent decision-making? Do you ask for input? Do you share every “Wow” moment in your organization? Have you shared your vision and values in building a trustworthy organization? Have you identified the outcome(s) you are seeking? Have you defined your intentions for each of our stakeholder groups? Have you made promises that you will keep? Have you determined the steps you will take to fulfill these promises? Elevating organizational trust is not difficult. It begins with awareness, acknowledgement of the long-term benefits and a daily commitment to do so. Barbara Brooks Kimmel is the CEO and Cofounder of Trust Across America-Trust Around the World whose mission is to help organizations build trust. A former consultant to McKinsey and many Fortune 500 CEOs and their firms, Barbara also runs the world’s largest global Trust Alliance, and is the editor of the award winning TRUST INC. book series and TRUST! Magazine. In 2012 she was named one of “25 Women who are Changing the World” by Good Business International, and in 2017 she became a Fellow of the Governance & Accountability Institute. Barbara holds a BA in International Affairs and an MBA. I love this Barbara. It starts great conversations about trust in all areas of our lives.